To proclaim yourself 'Mistress of Evil' is admittedly quite bonkers. But does Maleficent live up to her own self-image? Well, she puts a curse on a baby princess, and has a shape-shifting pet raven called Diablo, who can talk. In her defence, Jolie says Maleficent is "complicated". Hmm, sounds like a euphemism to us. 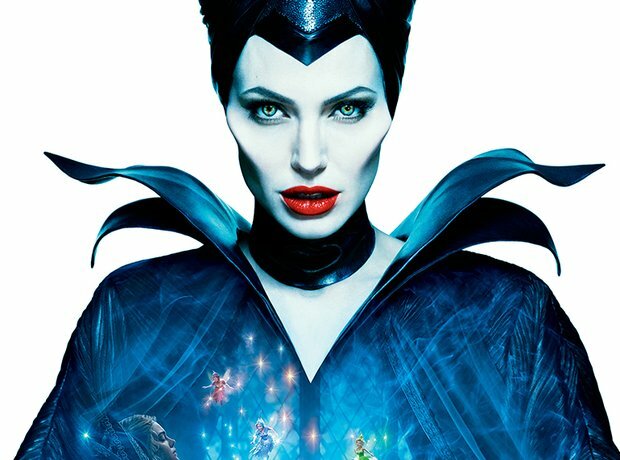 Of course, this bad fairy has to get the maximum Maleficent rating of five out of five. There are plenty of real witches in ‘Macbeth’ but none are quite as disturbed as the protagonist's irritable missus. She belittles Macbeth's manliness when he hesitates to kill King Duncan and then there's the scene where she thinks her hands are covered with blood. Her descent into madness is complete. But this is a tragedy, so we have to be mildly sympathetic. Maleficent rating: four. Tatjana Seran played Lady Macbeth at a Salzburg Festival production in July 2011. Herod is in love with his cruel and perverse niece Salomé; but she lusts after John the Baptist, who is not really interested in her, to be fair. The only way she can get John to give her a kiss is to have his head served up to her on a silver platter, ruining any long-term prospects for a relationship. Maleficent rating: five. Deborah Voigt is pictured as Salomé in the Lyric Opera of Chicago's production, October 2006. Six decades before a 'bearded lady' won Eurovision, Stravinsky's Baba was a blight on Tom Rakewell’s quest for happiness. Not so much wicked as a bit spoiled and selfish, and her inveterate hoarding of stuffed animals and trinkets gives her a Maleficent rating of just one out of five. Catherine Carby played Baba the Turk at the Sydney Opera House, March 2006. One of opera's coldest hearts, Princess Turandot asks her suitors three riddles; if they fail to answer correctly, they die. Pretty harsh. Ignoring all that, Prince Calàf is in it to win it. But why he'd want to marry someone like that is a mystery. Maleficent rating: four. Carter Scott played Turandot in Erfurt, Germany, July 2013. Kundry is a pagan herbalist, cursed to spend her days seducing knights. Not everybody would consider that a curse but Kundry gets quite het up about it. She has been condemned to live forever because she mocked Christ at the crucifixion. Maybe not the best idea. Maleficent rating: two out of five. Pictured are Burkhard Fritz as Parsifal and Michaela Schuster as Kundry in a 2005 Berlin State Opera House production. Possibly the only character in literature to reside in a Gingerbread House, which makes her sound like a harmless eccentric. But don’t be fooled. This witch kidnaps children to cook and eat them. Maleficent rating: five. Frieder Aurich played the witch in Weimar in November 2012. Azucena's mother – a witch – was burned at the stake for peering at a baby with an evil eye. Azucena reeks bloody revenge on all who have wronged her. Throwing babies into fires would normally ensure a Maleficent rating of five, but she is in pretty wicked company here, so we're giving her a four. Larissa Diadkova is pictured as Azucena in a 2005 Bregenz production. Armida is another wily temptress, who is not only an enchantress, but also Queen of Damascus. She kidnaps the princess Almirena, casts a spell to disguise herself as the girl and woos King Argante of Jerusalem. Maleficent rating: one. Soprano Rachelle Durkin is pictured as Armida in a 2005 production of 'Rinaldo' at the Sydney Opera House. Sometimes benevolent, often deranged, the Queen of the Night dominates Mozart’s mash-up of fairy tale, myth and Freemasonry. Her show-stopping arias with their high Fs are always worth waiting for, but loopy nonetheless. Maleficent rating: three. Here she's played by the ear-piercing Diana Damrau. More pitiful than the average villainess, Ulrica earns her keep telling fortunes while dressed as a hedgehog. She tells our hero Riccardo that he will die by the next hand he shakes, which kind of spoils his masked ball. Maleficent rating: two normally, but that falls to just one when wearing the hedgehog costume. Annamaria Chiuri is pictured in a 2005 Leipzig production.